At an event like the Olympics, there’s an intense amount of competition not just among athletes but between professional photographers too. With thousands of pics snapped every minute at every event on every single day of the sports fest, each photographer is keen to capture a special moment from a unique angle in the hope it’ll be their photo hitting the headlines and becoming the defining image of the day. There’s one camera at this year’s Games, however, which has been proving very hard to compete with. Though many a pro shooter would probably be quite happy to throw on some scuba diving gear, grab a waterproof camera and position themselves at the bottom of the Olympic pool, it ain’t gonna happen – but under the water is precisely where you’ll find the L2012 Pool Camera. And best of all, Pool Camera has been tweeting some of its coolest images along the way. “I match the world’s best swimmers, stroke for stroke,” Pool Camera’s Twitter bio says. “They speed along on top. 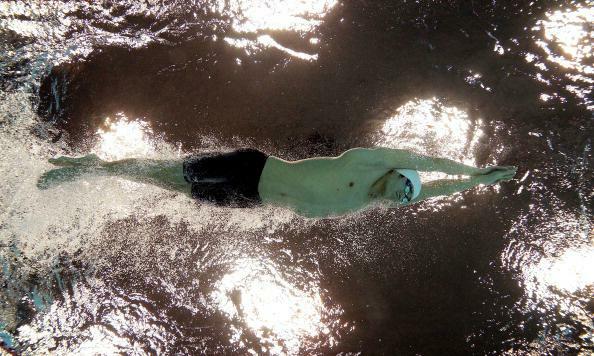 I race along the bottom…always looking up – and always wet.” The photos, produced for Getty Images, are snapped during races as well as other events such as synchronized swimming. 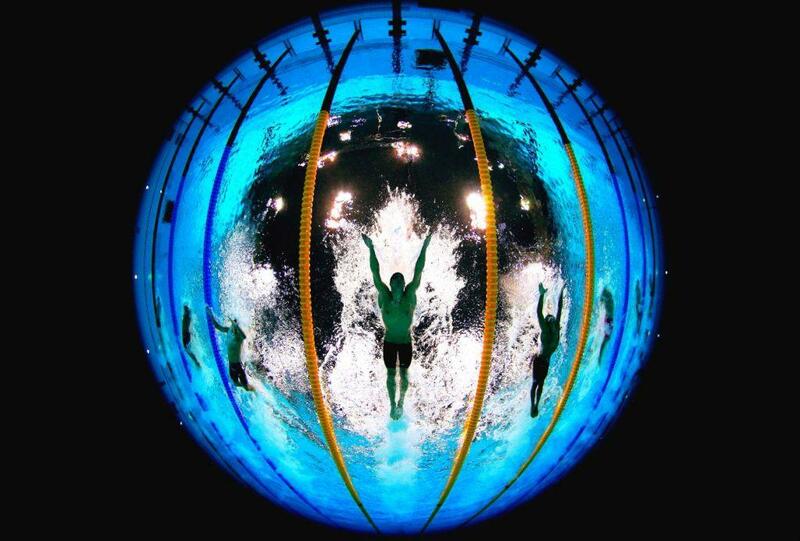 In its first tweet, posted on July 27, Pool Camera invited sports fans to “join me underwater for a different perspective on swimming.” Thanks to some stunning and somewhat surreal images, the Twitter account has now gathered almost 20,000 followers. Another stand-out shot is a fish-eye (of course!) 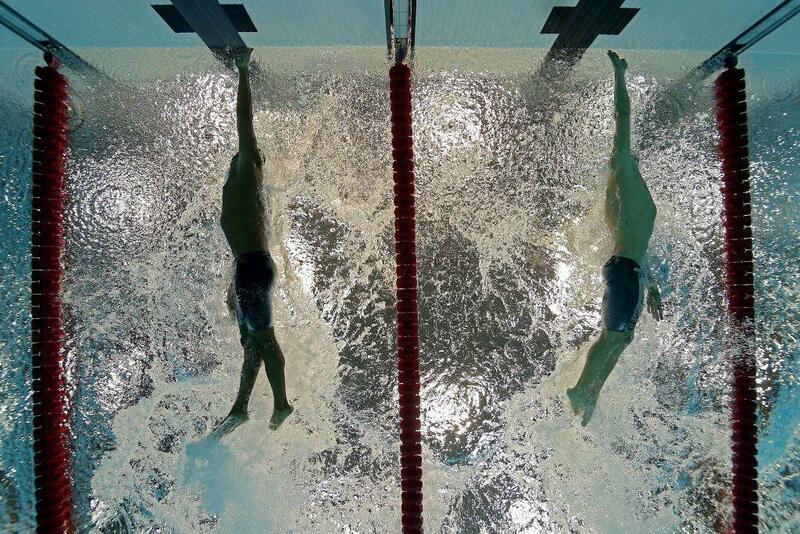 image of US swimming ace Michael Phelps (below) slicing through the water on his way to yet another gold. With events at the Aquatic Centre winding down, Twitter users may be interested in taking a look at the feed of another tweeting camera, the L2012 Stadium Camera, though it has to be said that the watery weirdness of the pool pics are a cut above what Stadium Camera has so far snapped.